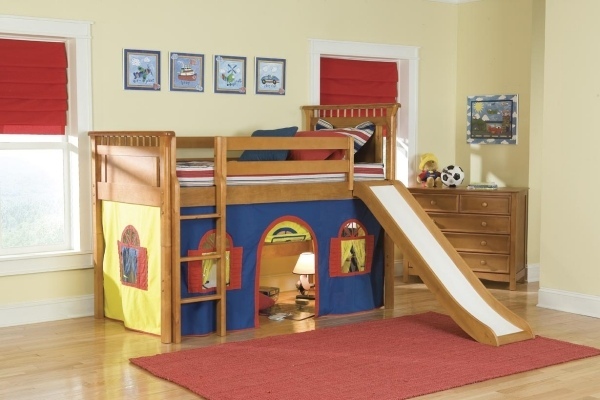 Every child wishes for an adventure bed or a game bed. 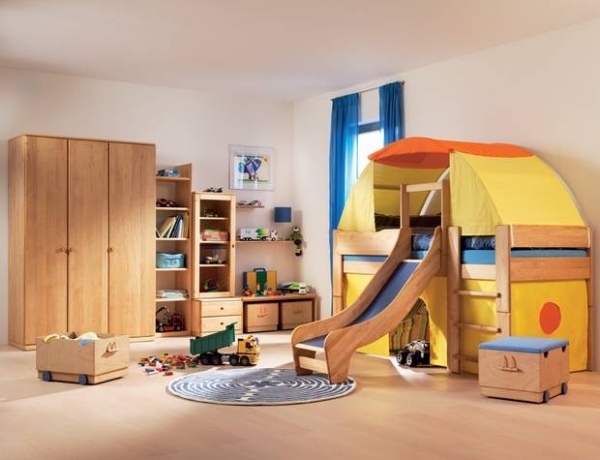 It is used not only for sleeping but also gives a joy in playing in the nursery. 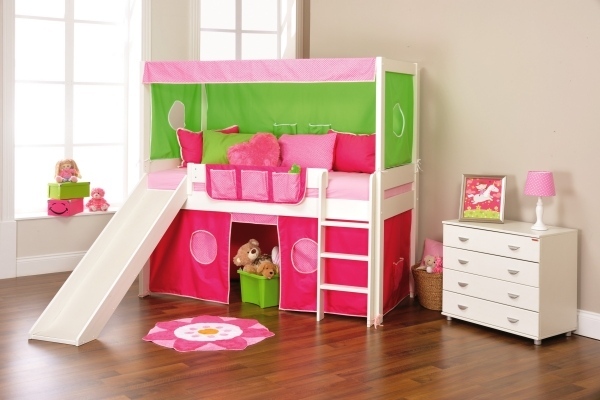 The bunk beds with slide or tower enjoy a great popularity. 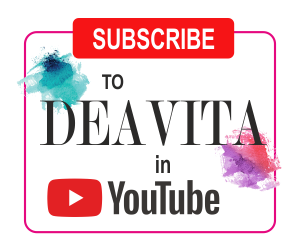 The great models make children’s dreams come true! 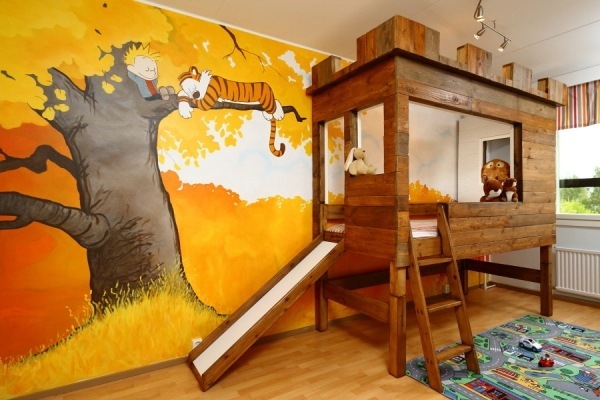 kids beds are very diverse. This piece of furniture offers a wide variety of models. However, each child has personal demands on his bed. 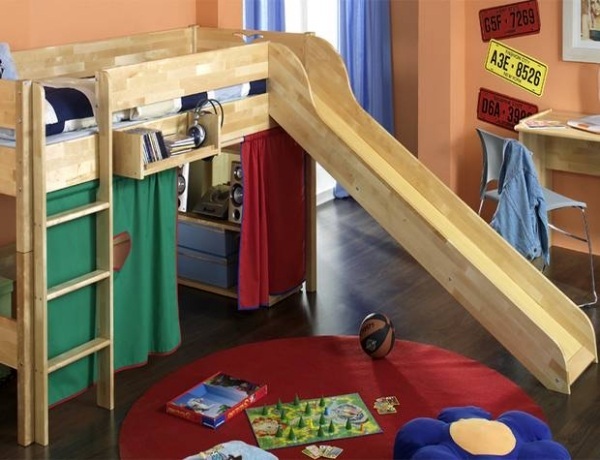 Bunk beds with slide are built at different heights, so that it grows with the child. 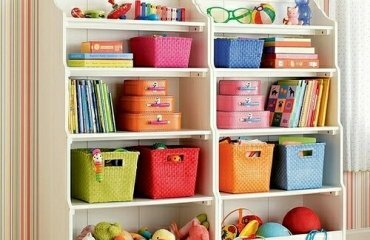 They are very practical and also offer plenty of storage space for toys. 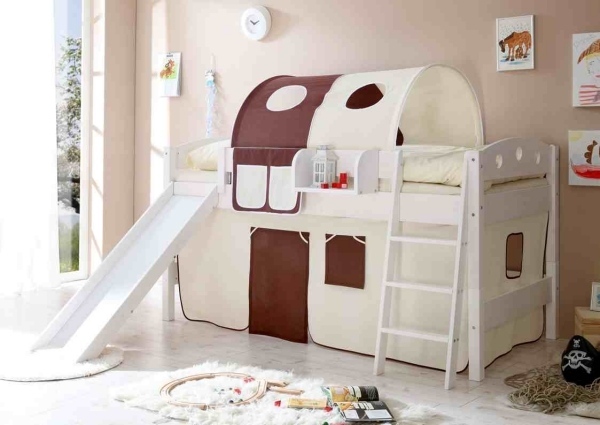 Bunk beds with slide, placed diagonally, occupy too much floor space. 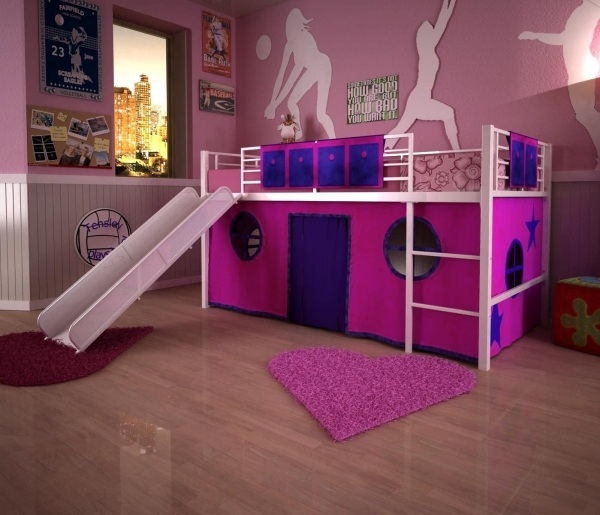 However, they are suitable for larger children’s rooms. 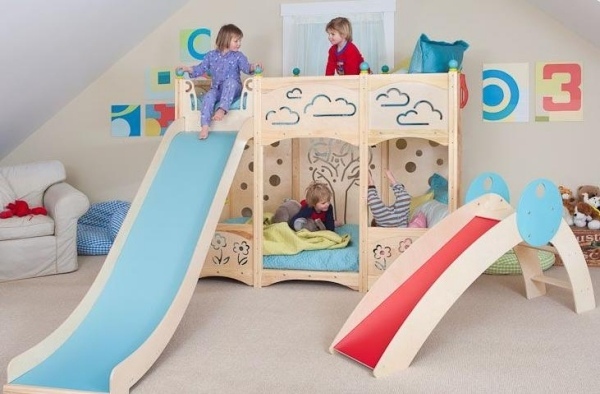 There are lower or higher mounting heights and a shorter or longer slide. It can be attached to the short or long side. The slide height can be adjusted accordingly. 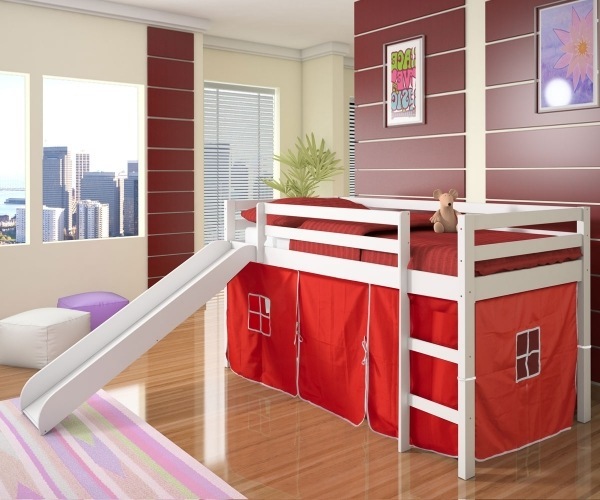 An option is to have a bed tower attached to it. The tower may also secure the sliding opening in the night. The stability and safety are of highest importance. 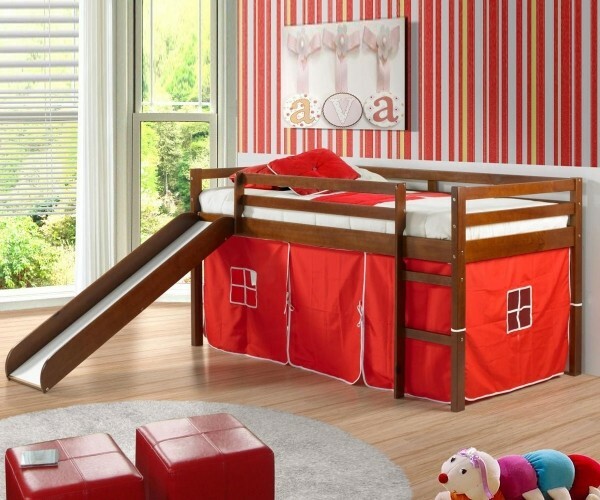 For security reasons, these beds are equipped with fall protection. 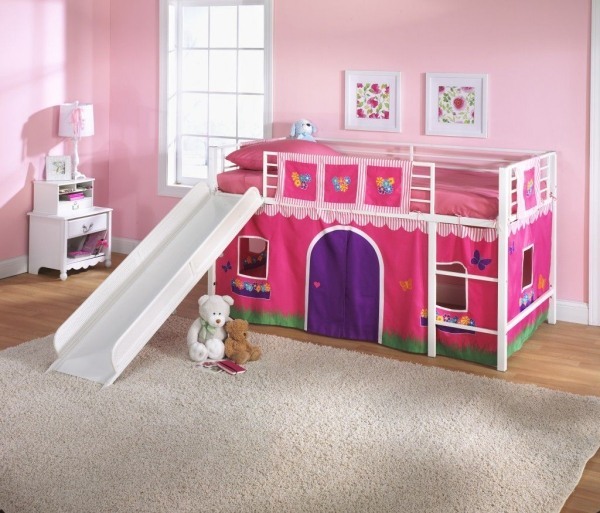 If safety when sleeping in a loft bed with a slide can be increased, you can mount protective boards or bars. 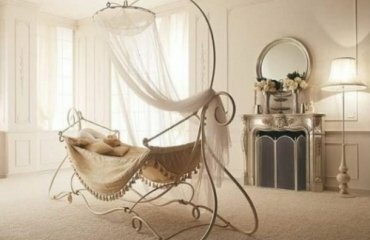 The curtains are a decorative accessory for the nursery. 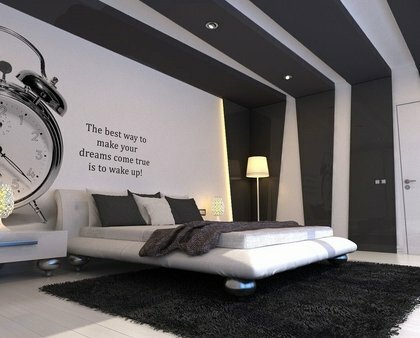 Cushions make the space under the bed even cozier. A screen made of fabric and with a zipper closure provides the necessary privacy for the little ones and is removable and washable. 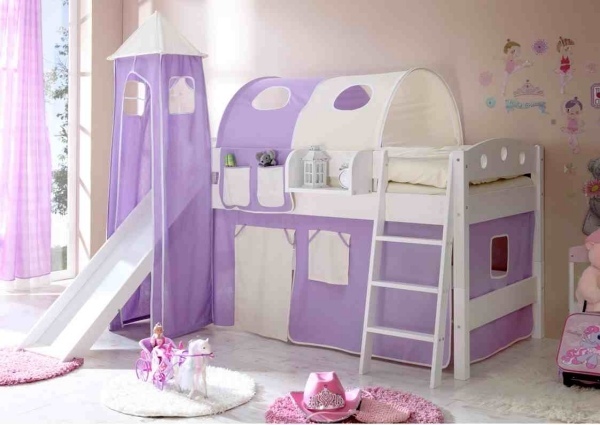 With a few accessories – awnings, curtains – the bunk bed can be a pirate, princess, or knight bed. 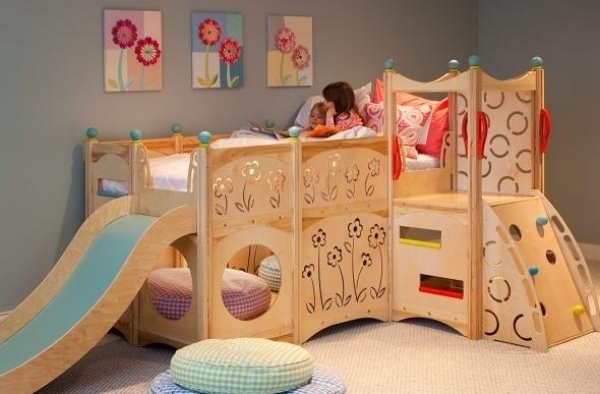 It can transform from baby cot into a child’s and a teen bed. 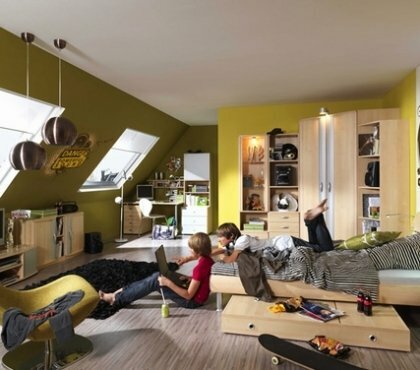 The game accessories can be removed and the it becomes simple enough for demanding teenagers.